A cavity is basically decaying of the tooth. Tooth decay is influenced by our oral hygiene levels, foods consumed and our everyday lifestyle. Heredity also plays a role in how susceptible you are to tooth decay. Coronal cavities- they are formed on chewing surfaces or between teeth. Root cavities- with age, gums recede leaving some parts of the tooth exposed making these parts susceptible to cavities. Cavities are more common among children but adults are also at risk, depending on their oral hygiene levels. Only your dentist can tell for sure if it is a cavity because they develop below the tooth surface. 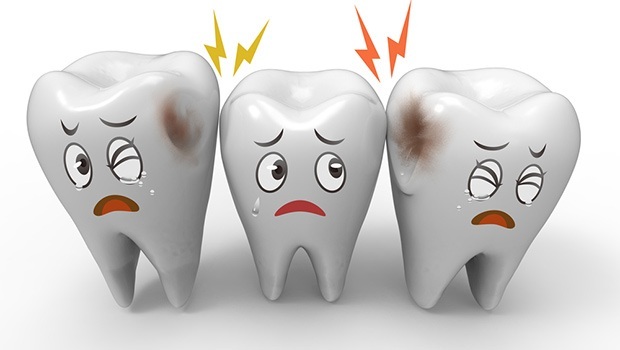 The bacteria consume the sugars and secretes acids that destroy the tooth as they eat into it. As the enamel is eaten away, after a while, the cavity is formed. Toothaches, pain while chewing and sensitivity to certain foods are symptoms of cavities.